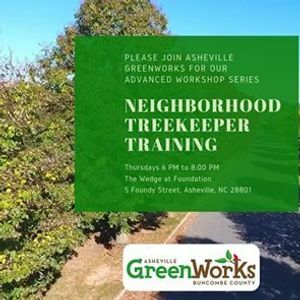 Asheville GreenWorks Neighborhood TreeKeeper Training is a six-week workshop series designed to teach you everything you need to know to care for the urban trees in your community. 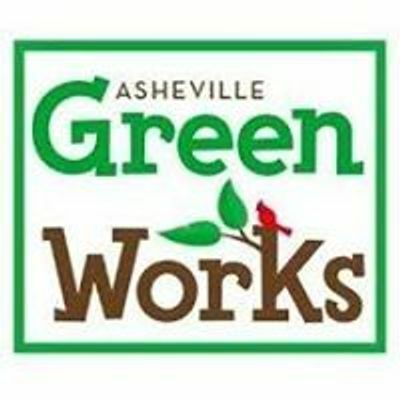 We are looking for applicants who are at least 18 years old and live in Asheville or the surrounding area. **Please only apply if you can commit to all six workshops! ** After completion, participants will have the opportunity to apply for a small neighborhood grant. February 21 - Trees 201. Instructor Alison Arnold. February 28 - Tree Planting and Maintenance. Instructor Eric Bradford. March 7 - Insect & Disease Management. Instructor Andrew Wagoner. March 14 - Tree Risk Assessment and Management. Instructor Scott Alba. March 21 - Understanding and Planning for Tree Protection During Construction Projects. Instructor TBA. 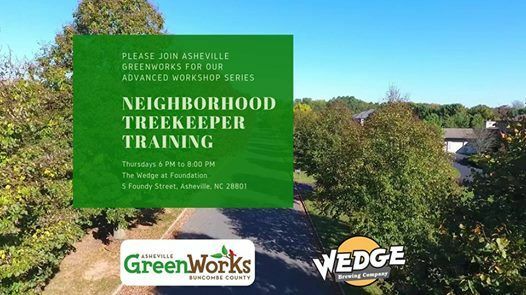 March 28 - Roles & Responsibilities of being a Neighborhood Tree Steward. Instructor Eric Bradford.